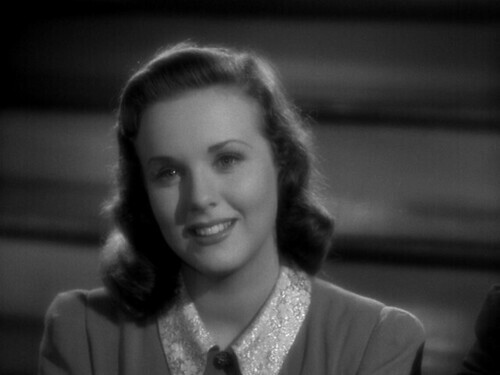 Deanna Durbin (born Dec. 4, 1921) was one of the few major Hollywood stars to turn her back on the industry and walk away from it and live happily ever after. She moved to France in 1950 with her third husband, French director Charles David, after having made her last film in 1948 at the age of 26, and never looked back. Before that, she made a total of 21 features, mostly at Universal, from 1936-1948. As far as I know, she sang in every one of them.